If you visit often (or have even visited a couple of times), you know that I love to feature our dog and his four cat roommates in our Wordless Wednesday posts. 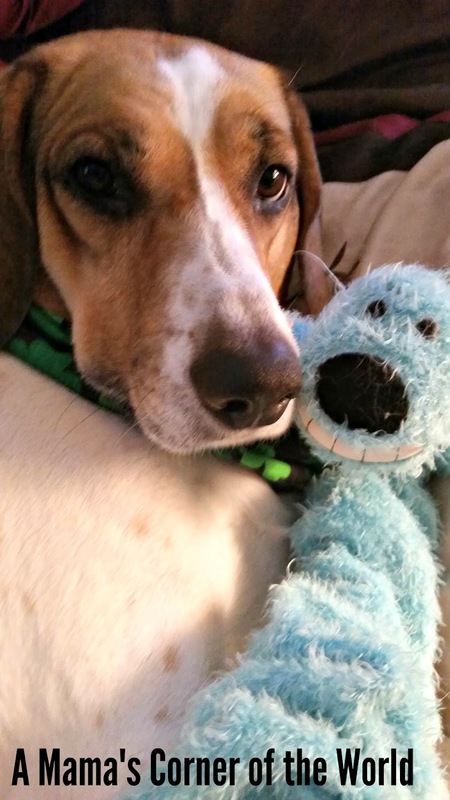 While the cats hide out a lot during the day while I work from home; Max the Hound is my constant companion. He isn't a puppy anymore--but, he will always be the baby! He has finally outgrown eating his toys.....for the most part. For 6 years, we couldn't find a toy (even the indestructible toys) that Max wouldn't shred in less than an hour. These days, he's more inclined to sleep with them than eat them! 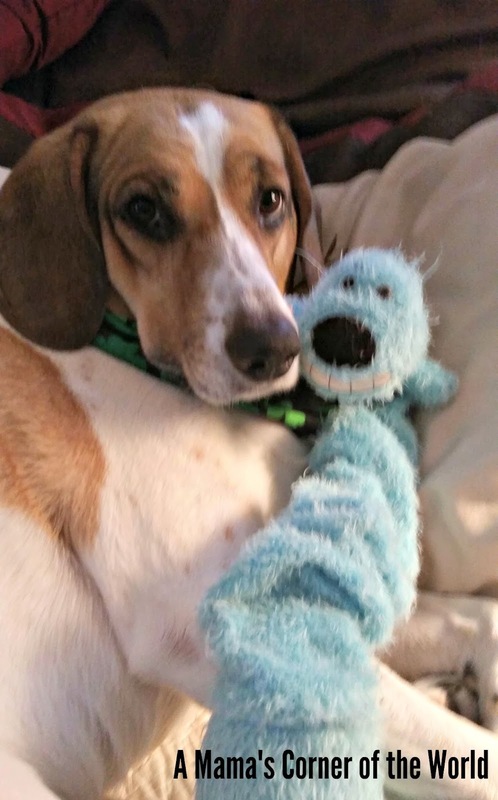 His latest toy attachment is Blue. Ready to Link Up Your Latest Wordless Wednesday Posts? Loving the face as well. Those eyes are just so dramatic! Aww! doesn't Max look cute heheh! His eyes tell it all!! How could anyone possibly resist those gorgeous eyes?? Have a great week.